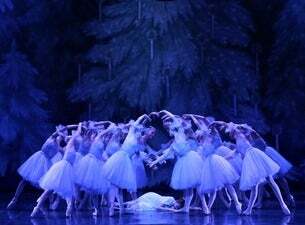 The Nutcracker is one of those magical stories everybody knows but never gets to see performed on stage. A jewel of classical repertoires, The Nutcracker is one of the most performed ballets in the world. Originally a Christmas tale, based on the fantasy of Hoffmann, revisited by Alexander Dumas, it was the choreography of Marius Petipa who decided to create a fairy-like ballet, in which reality and fantasy are mixed, danced to the delightful music of Tsjaikovski. The story begins on Christmas eve. A little girl, Clara, receives a present of a nutcracker, which is destroyed by the other children. That night Clara awakes, entering a strange and fairly-like world, guided by her nutcracker … These moments, full of joy and happiness, are most appropriate for this time of year.